Huawei, which is a renowned Chinese smartphone manufacturer has introduced a new smartphone, dubbed as Maimang 7 in home country China. 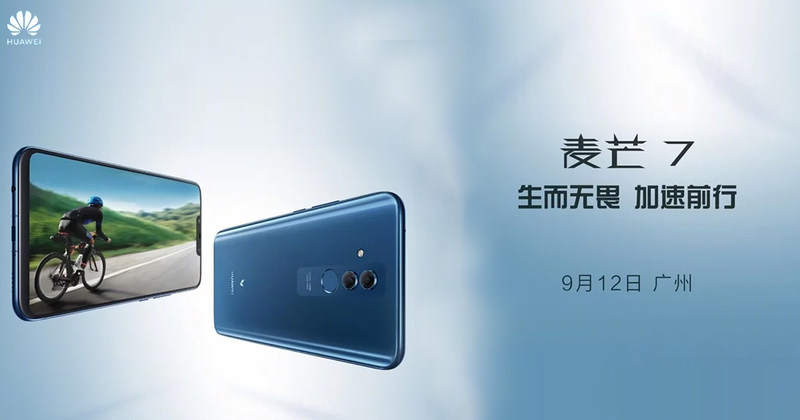 It looks like Maimang 7 is a Chinese variant of Mate 20 Lite that was currently launched at IFA 2018 conducted in Berlin in between 31st Aug 2018 to 5th Sep 2018. The Huawei Maimang 7 features a 6.3-inch screen notch display which offers 19.5:9 aspect ratio and the screen resolution of 1080×2340 pixels. In terms of software, the smartphone has Android 8.1 Oreo out-of-the-box based on top of the line EMUI 8.2. It is embedded with the company’s owned HiSilicon Kirin 710 processor. The company has offered 6GB RAM and 64GB ROM for storing content. The smartphone comes with microSD card in a hybrid sim configuration which supports up to 256GB data. Huawei Maimang 7 comes with dual cameras on the rear panel which consists of a 20MP primary sensor and a 2MP secondary sensor. On the front side, there are also dual cameras having a 24MP primary sensor and a 2MP secondary sensor. A circularly shaped fingerprint scanner sits underneath the dual-rear cameras. The smartphone comes with hybrid dual-SIM configuration, USB Type-C port and a 3.5mm headphone jack. It is armed with a massive 3,750mAh battery. The Mate 20 Lite is a stepped down version in Huawei Mate 20 series. Recently, Huawei has officially announced that the Mate 20 and Mate 20 Pro will be unveiled at an event in London on 16th October 2018. Both of the upcoming Huawei smartphones most probably run on the company owned the latest Kirin 980 processor, that was unveiled at the IFA 2018 event in Berlin.